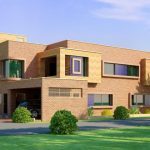 DHA Bahawalpur promises to feature premier community lifestyle and progressing in this direction since its inception. 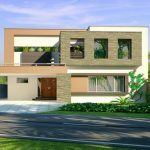 This master planned society will be integrated with high-end facilities after completion of development. DHA Bahawalpur files’ trade is going on and will pace up in upcoming months when development will move to the next stages. As it is a mega community and a number of people are involved in trade of its files, some opportunists are making money by deceiving file owners. DHA Bahawalpur management has bewared all file holders by a notice released in press advertisement. It has come into notice of DHA Bahawalpur administration some people are getting DHA Bahawalpur files from their owners against monthly rent or profit. This practice is fraudulent and won’t be tolerated in any case. Neither DHA Bahawalpur has allowed buying/selling of files in this form not authorized any official or desk to monitor such activities. 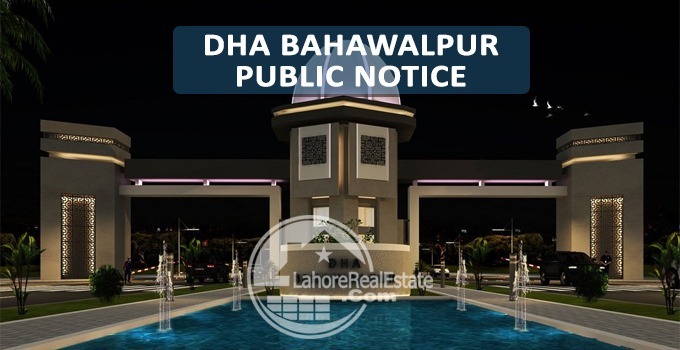 The reception office of DHA Bahawalpur has all important instructions for buying and selling of its files and it is given to every file holder at the time of buying. 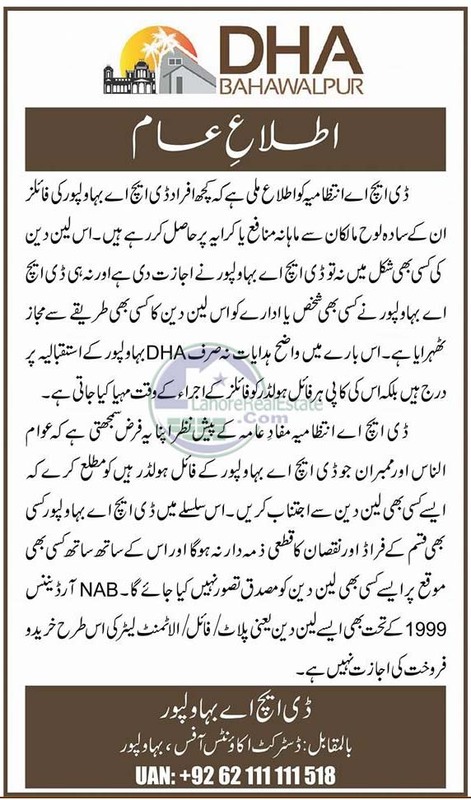 DHA Bahawalpur warns file holders publically to safeguard the interest of its valued customers and advised them not to get involved in such malpractices. They have been informed to refrain from this bogus pattern of buying and selling, otherwise management won’t be responsible for their loss. Any sale/purchase done as per subjected procedure won’t be officially accepted or authenticated. No one is allowed to buy or sell Plots/files in this manner as per NAB Ordinance 1999. As we Know that DHA Bahawalpur is a developing Housing Scheme so this is a right time to take the right step. It will increase ‘Investors’ interest in risk-free investment.